LHFC branched out from the four a side league with there 7-a-side team, Carl Martin team manager is always happy to give new players a runout and is always looking for the next Kevin Keegan or Duncan Ferguson. The side is made up from players across the Spirit of Merseyside league. Weekly training sessions take part at Everton park sports centre every Wednesday, anyone can come along and get involved, you don't have to be homeless, just want to get involved. 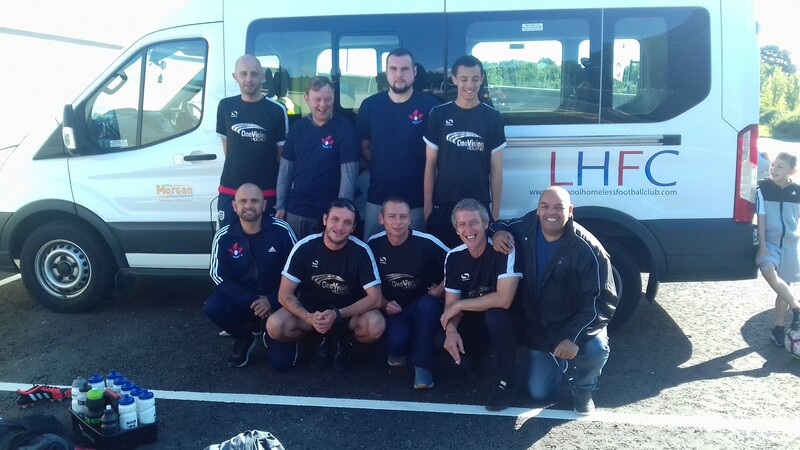 The team have been successful this season by winning the Welsh homeless football tournament and bringing the silverware back home to Merseyside. The players also won the silver medal after coming runners-up at the Street Soccer Scotland tournament held in Dundee.